I was just looking back at old posts and realized that I haven't updated you all about the work we're doing in South Africa lately. We are still working on raising the money to build the shelter in Adam's Mission. Our fearless leaders have started an Indiegogo campaign to raise money to start with the first project - Food Security. Please consider donating to this cause. I have been here and I have met these kids and the amazing people who work tirelessly to make sure they have food, clothes, education and a safe place to live. The group is run entirely by volunteers so every dime donated will go directly to the project to make sure the kids have a reliable food source. You can read about our trip to South Africa back in November here. 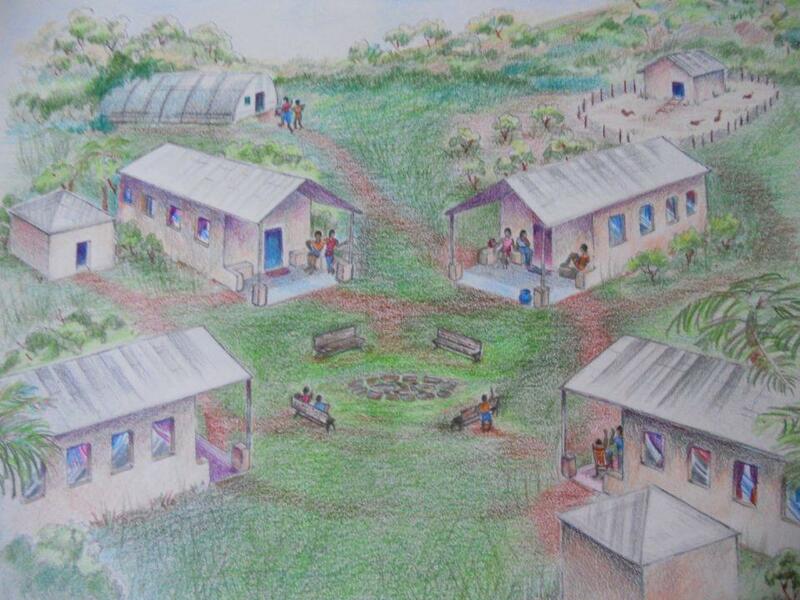 Here is an artist drawing of the community we will eventually build in Adam's Mission. Image created for Zulu Orphan Alliance.